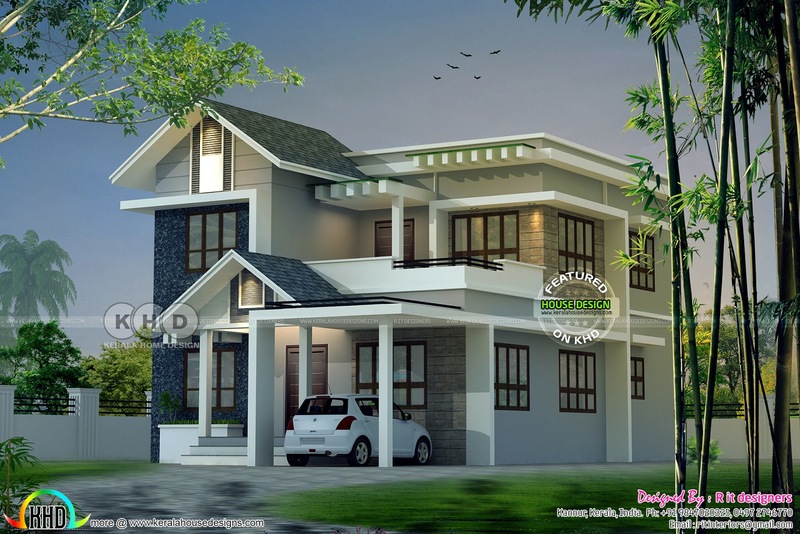 2047 Square Feet (190 Square Meter) (227 Square Yards) modern style mixed roof house design with 4 bedrooms. Design provided by R it designers, Kannur, Kerala. Ground floor area : 1240 Sq.Ft. Total area : 2047 Sq.Ft. 0 comments on "Modern mixed roof Kerala home design 2047 sq-ft"